 We’ve always got plenty of events on to keep you entertained and more at The Torrance. Our wedding events are an amazing way to see our stunning venue perfectly dressed for the day of your dreams. Tribute nights, Christmas and our regular live entertainment at the weekend – don’t miss anything! East Kilbride’s best venue for all types of events! Just 30 minutes from Glasgow Airport, we are a prime venue for Meetings, Corporate Events, Wedding Events, Celebrations, family gatherings and so much more. Why not have your own event or function with us? We have a choice of function suites plus an amazing state-of-the-art conservatory which is perfect for private parties, birthdays & so much more! We mix it up with a live DJ every Friday and Saturday night playing everything you know and love.